Thanks to our very own Frank King, The Mental Health Comedian, we were introduced to one of his coaching clients. 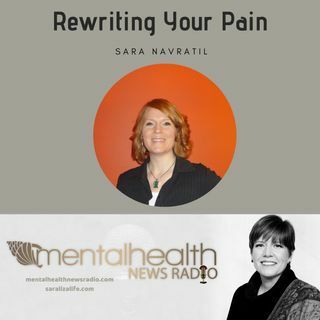 Sara Navratil joins the show to talk about trauma, rewriting your pain, narcissistic abuse, and more. Incredibly insightful, warm, and authentic. We loved doing this show and our after show Vlog on our YouTube channel. Freelance writer and blogger Sara Navratil from Sara Liza Life has a passion for showing others the power ... Más informaciones of their imagination to rewrite their lives. As a survivor of childhood sexual abuse and being raised by a narcissistic parent, her life imploded when she began suffering from Post Traumatic Stress Disorder (PTSD) at age 37. That was her wakeup call, and over the past 10 years she's rewritten her life, going from victim to victor. Now she teaches others the power they have to do the same.